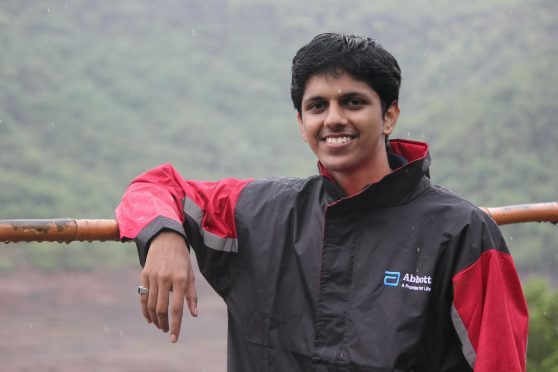 About the Author: Abhinav Bhanawat, a student of IIT Kanpur, talks about his venture of transforming lives of people in rural areas and discovering himself. I fancied working in rural areas and helping transform the lives of the poor. However, I didn’t know where to begin or if I was even capable of doing so for that matter. Nimbkar Agricultural Research Institute (NARI) provided me an opportunity for the same. I mailed the director of the institute, Dr. Anil Rajvanshi, expressing my interest in interning there, and he asked me to fill the internship form on their website and email my CV along with a list of 3 professional references. The institution offered internships on the basis of candidate’s resume and preferred if (s)he was from mechanical, chemical, or material science engineering. Thanks to my decent CGPA, I was selected for the internship. During that period, I was the only intern at NARI. I stayed in one of the rooms of the centre for sustainable development in the campus. The institute had numerous facilities for the workers such as wifi connection, air conditioning system, and ventilated rooms. I lived there alone and ate at a nearby house. This scared me and I communicated this to Anil sir. He encouraged me, and I decided to make the most of my internship. I formulated a routine which comprised things that I never got to do at IITK due to my time constraints. Along with my internship, I wrote an article daily, exercised, and sang. Being alone helped me introspect. I was assigned two projects. The first one was regarding the true price of farm produce. The objective was to help the farmers understand how much their produce was actually worth. My job was to collect data and analyse how much energy was required for the production of food, how much money the farmers received. We compared those prices to the restaurant charges. My second project was modelling the solar water purifier for mass manufacturing for which I made a CAD model of the water purifier. I prepared a document with drawings of different parts to facilitate its manufacture by small rural workshops. The model could be easily assembled by a user. I selected a food grade material for the manifold and to make the frame light in weight. This enhanced my knowledge of Autodesk Inventor and that of solar water purifier as well. It was the motivating words of the director that kept me going, and I discovered my true potential. He brought my way many opportunities like attending meetings with the CEO of a startup regarding the purchase of an automatic weather station, interacting with interviewees, operating Lanstove, etc. He encouraged discussions and clarified all my doubts. I learnt the trick of making a to-do-list to work efficiently. We discussed various things like how to modernise farming, how to develop the rural areas, etc. At NARI, I rose above my inhibitions and interacted with a lot of people. I used to have lunch with two technicians, who shared the stories of the local people, their lifestyles, and their culture. I learnt quite a few life lessons as well such as realising the importance of following a routine and accepting any situation that might come our way. Another highlight of my internship was my visit to Ralegan Siddhi during Eid. There I witnessed its development and met Shri Anna Hazare, who inspired me with his thoughts about the Indian youth. Travelling all alone and pulling this off filled me with a sense of achievement. Apart from the great deal of technical knowledge that I gained, I learnt some life lessons from Anil sir. He taught me to manage time and be curious and motivated me to deliver what I was expected to. In short, my internship was all about accepting challenges and working my way through them. Want to discover your potential? Check out these mechanical engineering internships and set out for adventures.